Easy to use. It doesn’t get much easier than taking the lid off a spray bottle and misting your pillow a few times! The whole process from start to finish adds just a handful of seconds to your evening routine. Smells great. Sleep sprays are meant to smell nice. You wouldn’t be falling asleep very easily if they had a yucky scent, right? Usually, they will have calming scents like lavender. Location is optimal for aromatherapy benefits. By using a pillow mists directly on your pillow while you’re sleeping, the scent is entering your system without having to do any work. It’s just right there. There’s no need to hold anything up to your nose or do a balancing act to be hands-free. Alternative to becoming dependent on medication/medicines. One reason you may be looking into a pillow mist in the first place is because you would like to get away from using medication or don’t want to have to resort to medication. Ingredients may not be great. Always be careful to look at the ingredients lists of your pillow or linen mist. While the packaging might say “natural” or “organic,” there may be other harmful chemicals included like alcohol or other diluents. May not react well with your skin. Just like with any other product that touches your skin — especially on your face — you may have an issue if you have sensitivities. Even truly natural ingredients may not react well with you personally. You should always test products on a small area before using them. Sleep is not a guarantee. While things like essential oils are great, they don’t always work the same for everyone. While lavender might knock someone out the minute their head hits the pillow, it might not always work for another person. If you are looking for a natural and safe pillow mist, we recommend trying our Lavender-Infused Pure Eucalyptus Oil ShowerMist. No synthetics, petro-chemicals, or anything not plant-based are ever used in our ShowerMists. Simply spritz a few sprays on your pillow, wait a few seconds for it to dry, and breathe in those amazing benefits while you sleep. Another natural alternative to a pillow spray is using a diffuser by your bedside. 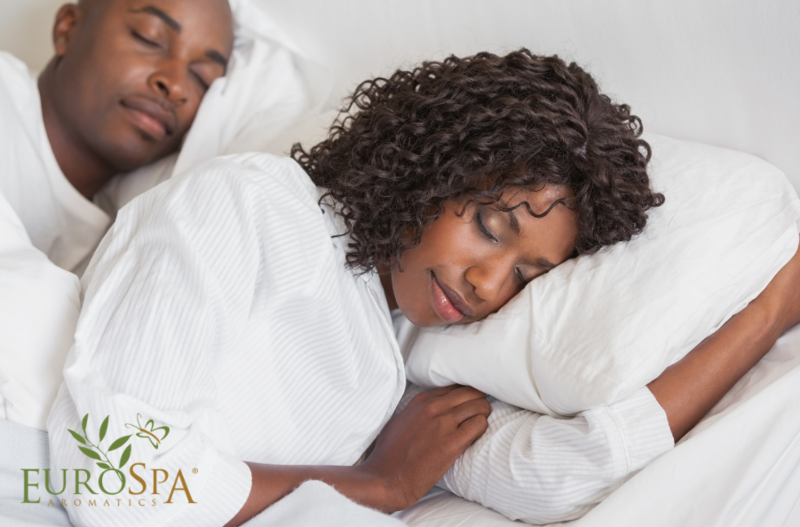 All you need to do is add a few sprays of a ShowerMist or your favorite essential oil to promote sleep, like lavender. There are some diffusers that have 8-hour settings, so it could run all night while you’re sleeping. What do you think? Will you be trying a ShowerMist as a pillow spray?